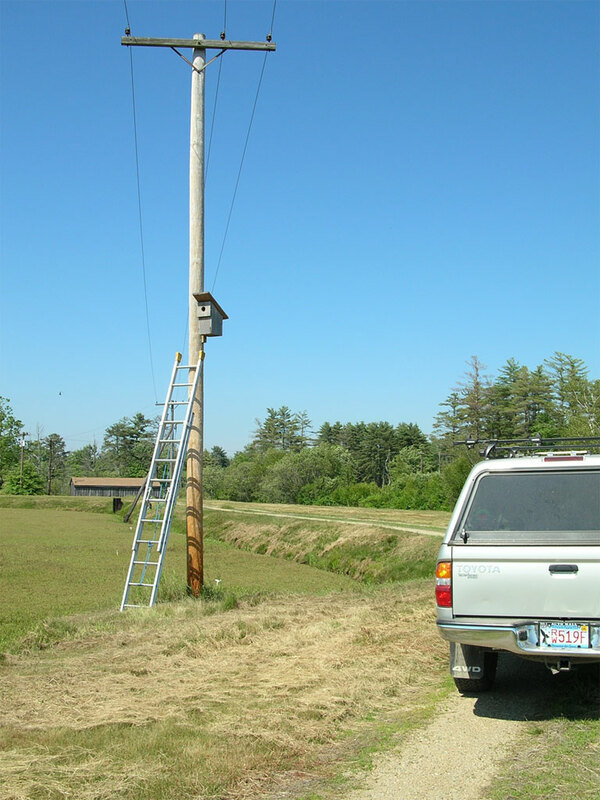 Kestrel nest boxes were initially erected in southeastern Massachusetts in 1989 around cranberry bogs by Mike Maurer and Joey Mason. The town locations include Hanson, Middleboro, Plympton and Rochester, but the majority of boxes are in Carver and Wareham. 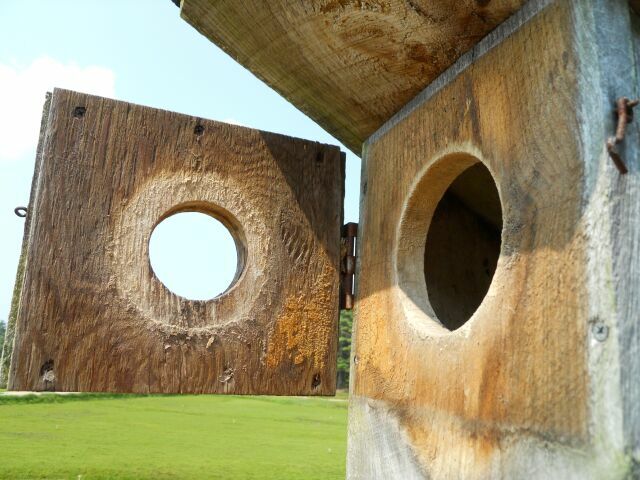 The nest box used was designed by Joe Papp from Drummond, Wisconsin; designed for easy access for banding and having a slide out bottom that can be removed to discourage squirrel inhabitants. 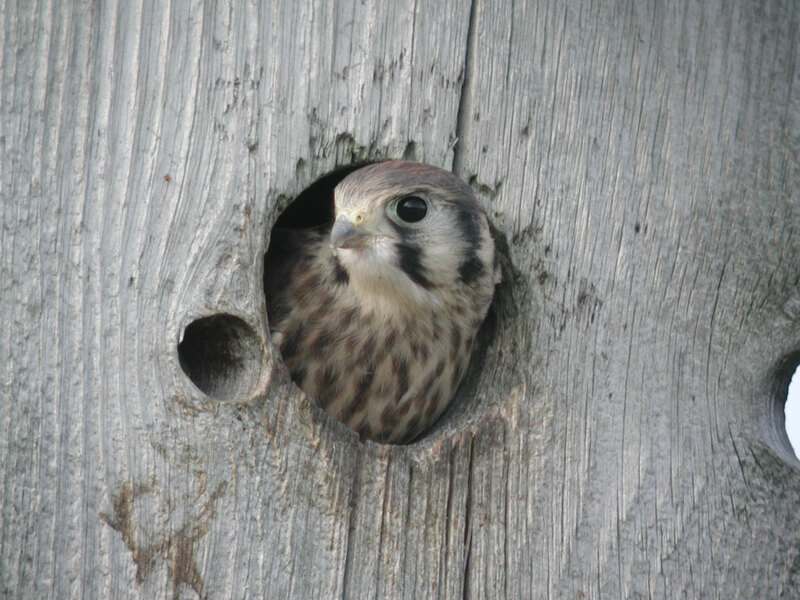 Mason has continued to maintain and monitor 30 to 38 nest boxes from this previous study since 2000, when Keeping Company with Kestrels was established. 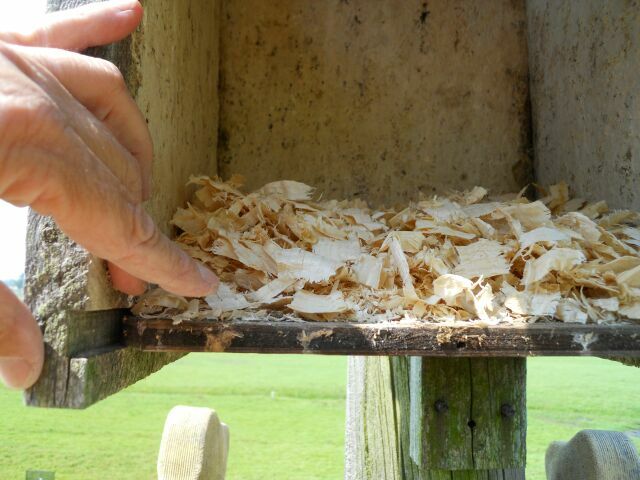 Nest boxes were 75-80% occupied in the mid 1990’s. KCK’s first year in 2000 had 72.7% occupancy following previous trends. The boxes were 57.1% occupied in 2005. Taking it another five years later to 2010, we had 54.3% occupancy. In 2017 we had 32%, but 2018 was our record low of 20% occupancy. This is a 52.7% decline in 18 years. This is very disheartening. Since much of Massachusetts’ open space grassland has been or is being developed, this leaves cranberry bogs as one of the last few Kestrel sustaining habitats in this area. 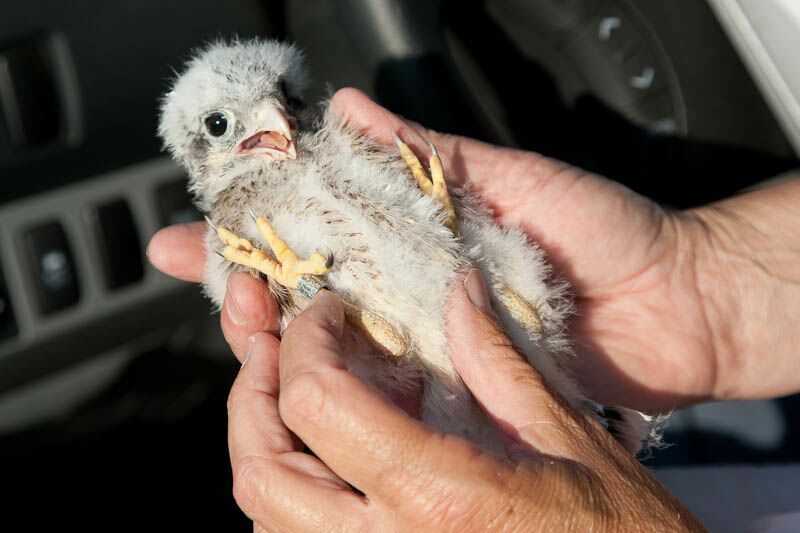 For the last 15 years fewer adult Kestrels have been returning in the spring to nest and their overall numbers have noticeably dropped. 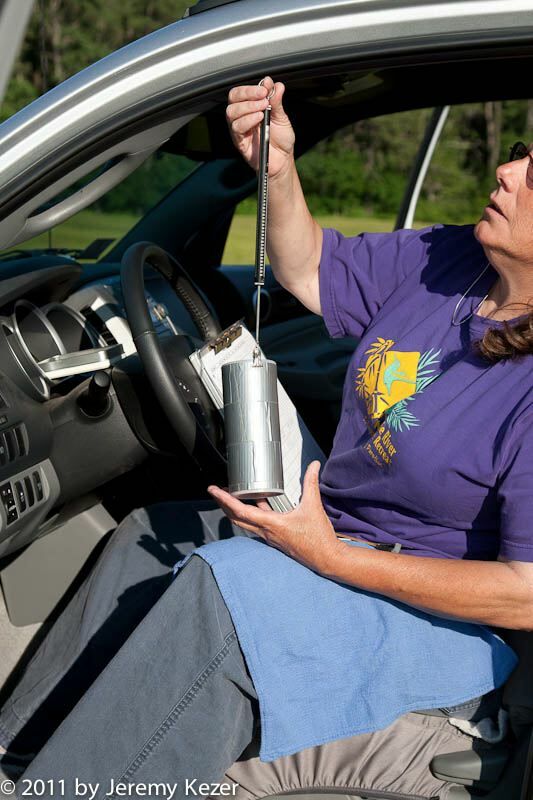 There is speculation that the increase in Cooper’s Hawks is to blame, but other contributing factors may be at play, such as housing developments and loss of open grassland habitat needed to forage for food during spring and fall migration. 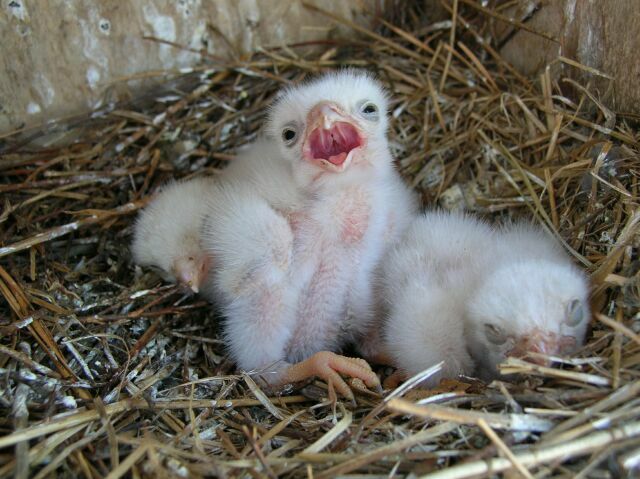 West Nile Virus has killed raptors, but was statistically ruled out as a major cause of the decline. 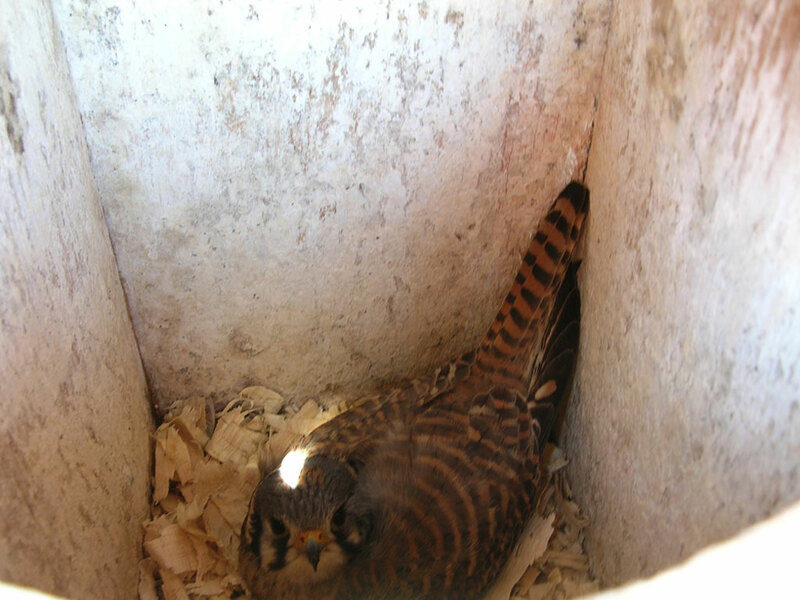 Weather can also impact these small raptors. There is documentation for all these issues, but is the decline due to one critical aspect or a combination of all? Returns of banded birds from this project document these causes; electrocution, car strike, air strike, methane burner and starvation. 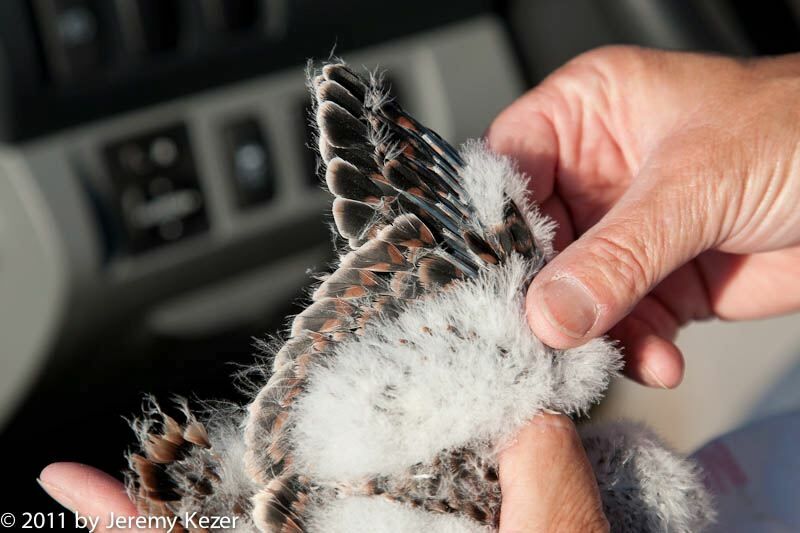 During the nesting season the Kestrel young are banded with aluminum U.S. Fish and Wildlife Service bands, allowing us to age them when recaptured in succeeding years. 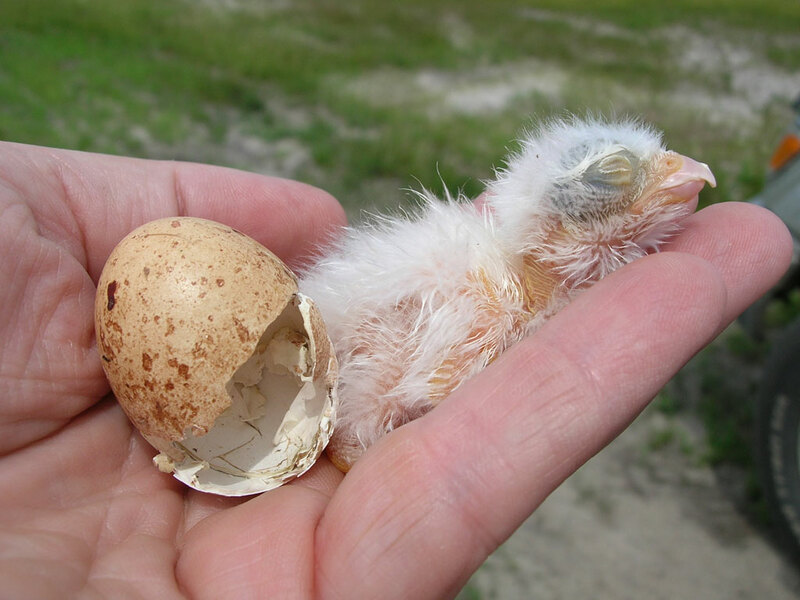 The oldest recaptures have lived at least 6 years of age. 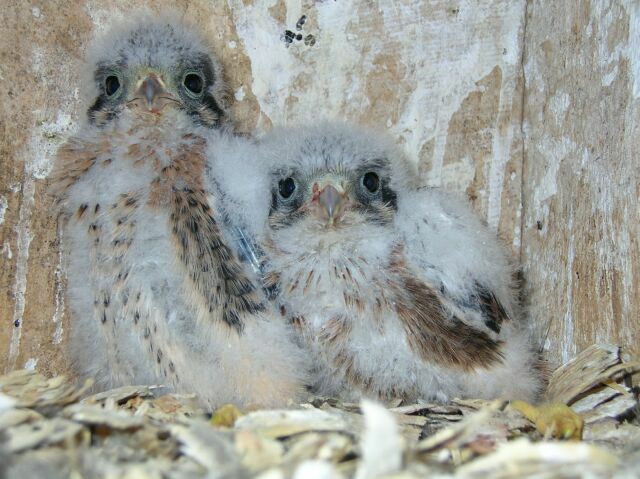 Some of our banded Kestrels have traveled as far south as Boca Raton, Florida. 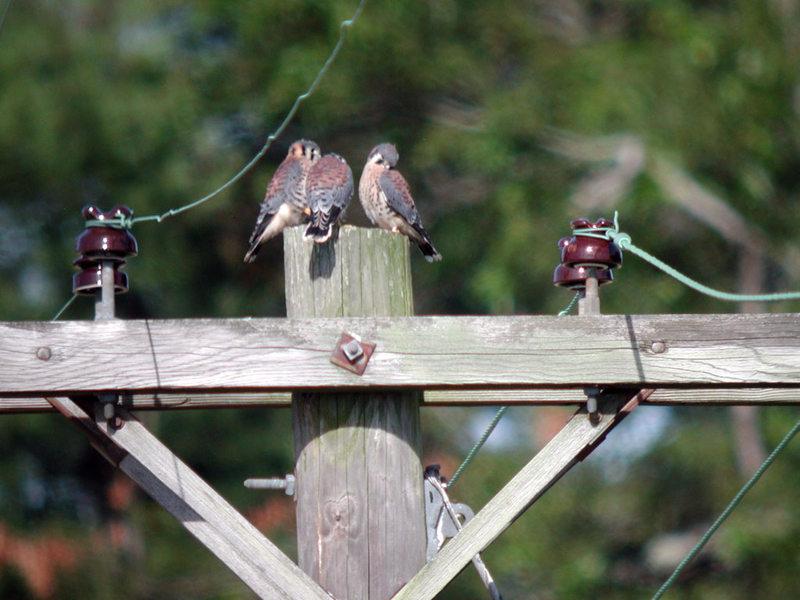 This project is supported in part by Eastern Mass Hawk Watch and South Shore Bird Club. Images may not be reproduced without the permission of the photographers.